Spring is right around the corner. I can see signs of it. Even though it snowed yesterday, there are a few blades of Spring green grass and some of the trees are starting to grow leaves. My daughter doesn’t believe, though. She is so disheartened and told me yesterday that she thinks ‘Spring is never coming’. 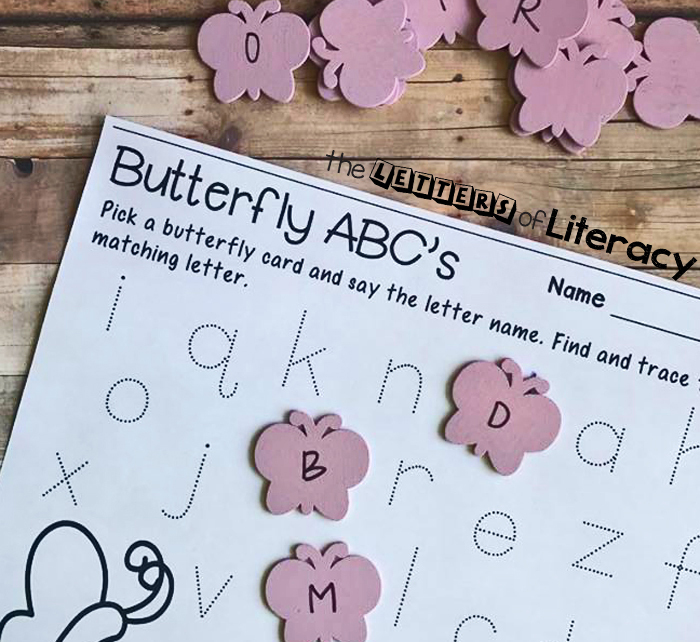 I assured her that it will be here and brought out this Spring inspired Alphabet Butterfly Matching Game to have fun while learning and hopefully brighten her spirits. Our activity was inspired in one of the Dollar Spot aisles of Target, where we found these adorable wood butterflies. As soon as I realized I could get 24 little butterflies for $2 I was sold. I took them home, grabbed a permanent marker and wrote one letter on each butterfly. Because I only bought two packs, we only have 24 butterflies, so I doubled the letters (front and back) on two of the butterflies to have one for every letter. 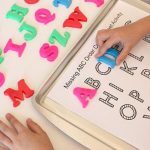 We created a printable ABC mat to encourage the matching of letters & tracing process. 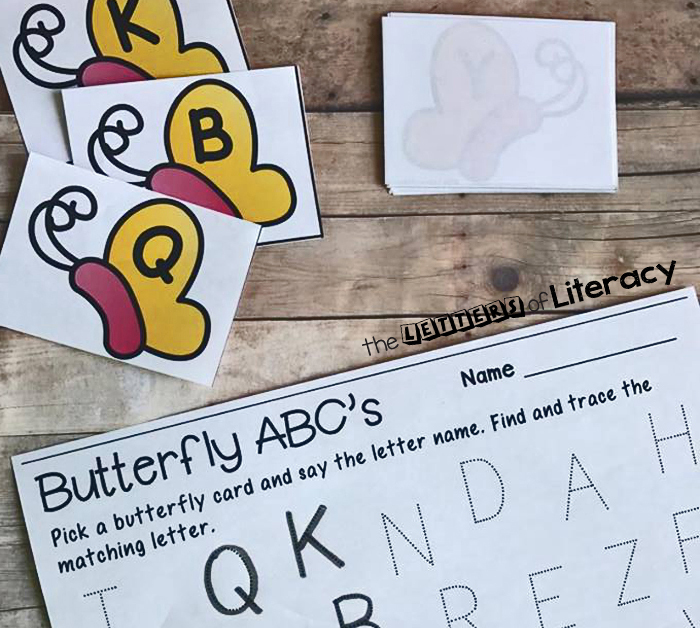 Children can pick a butterfly, recognize and name the letter, find the corresponding letter on the ABC mat, then trace the letter. 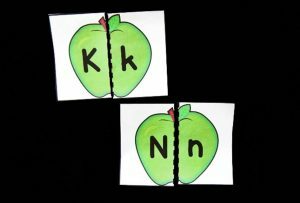 We first did this activity with uppercase to uppercase matching and tracing. 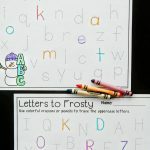 There is also a lowercase letter mat when the child is ready for this challenge. Print the mat with the blue button below. If you plan to use this mat multiple times, laminating it and using dry erase markers would work great. 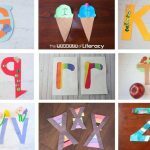 For those of you that don’t have access to a Target or simply don’t want to buy the wood butterflies, we created free printable butterflies with letters. These can be printed and cut to use for the same idea. These could also be laminated to increase longevity of use. 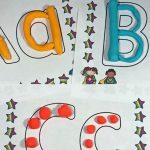 This activity can be adapted for children who are just beginning to explore the alphabet all the way to children who are learning to write each letter. Some children may not be ready to trace. These mats can still be used and the wood butterfly can be placed on top of the corresponding letter. 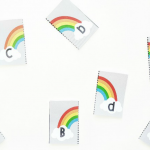 If using the printable butterflies, have the child point to or circle the matching letter. 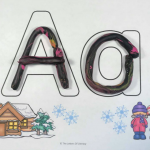 Another variation is to use uppercase on the butterflies and lowercase on the printable ABC mat, or vise versa. 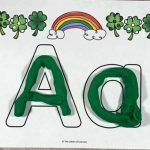 While the child is matching/tracing, you could add in an extra challenge by asking the child to say the sound the letter makes. 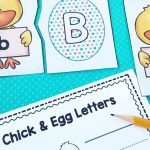 Even more of a challenge would be to have the child say a word (or a few words) that start with that letter. My daughter enjoyed this activity so much we did more of it later in the day. I’m not 100% sure that she is convinced Spring IS coming, but she is undoubtedly excited like me. 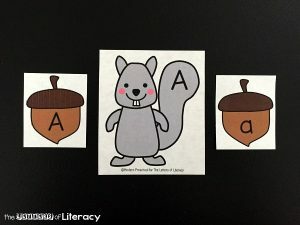 Ready to practice alphabet matching? Grab your copy of the Butterfly Alphabet match by clicking the blue button below. 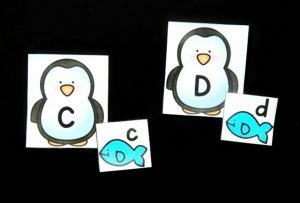 Then, hop on over and try this Penguin Alphabet Match!